An intelligent, engaging and appealing spokesperson. 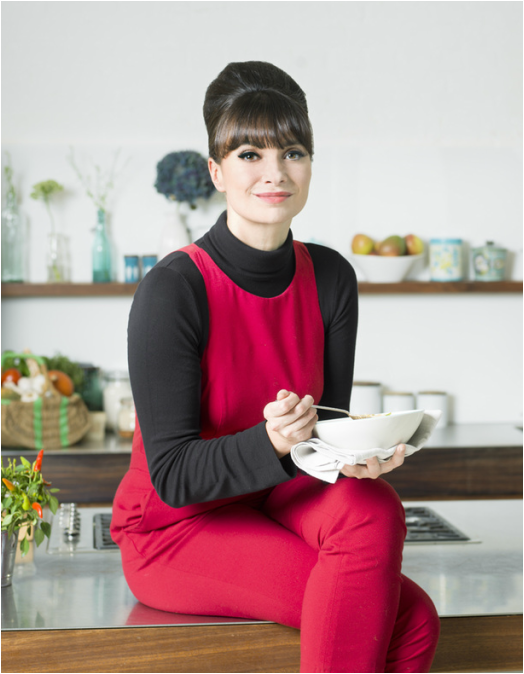 Gizzi Erskine's style of food and fashion are both incredibly memorable. Her sense of humour, chef experience and transition from a punk gives her plenty to talk about, making her an ideal spokesperson. Below is an interview example she did with BBC about Brits having bad eating habits and more than a quarter of the UK having ready meals or takeaway for dinner. If you're interested in a chef for any radio or TV interviews please get in contact with us. 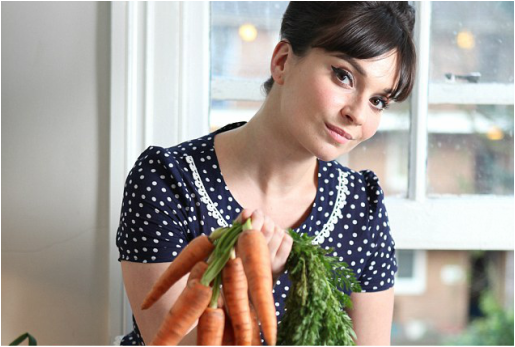 Gizzi Erskine (born 20 August 1979) is a British chef and TV personality. She trained at Leiths School of Food and Wine in London. Erskine presented two seasons of Channel 4's cookery show Cook Yourself Thin and presented Channel 4's daytime programme Cookery School in 2011. She has also presented cookery features for ITV1's This Morning, contributed to Healthy Food Guide magazine and appeared on Sky1's Taste. She now co-presents channel 4's cookery programme Drop Down Menu with Matt Tebbutt. She has also appeared on other TV shows, including Cooks To Market and Iron Chef on Channel 4. As a food writer, she has published Kitchen Magic and her latest book, the hugely successful Skinny Weeks and Weekend Feasts, has been a best-seller since it was published in April this year. Her image and styling play a prominent role in her presenting. She was formerly a punk but at present has adopted stylised 1960s look and persona. On 14 July 2013, she joined The Sunday Times as the Sunday Times Cook in the newspaper’s weekly magazine.